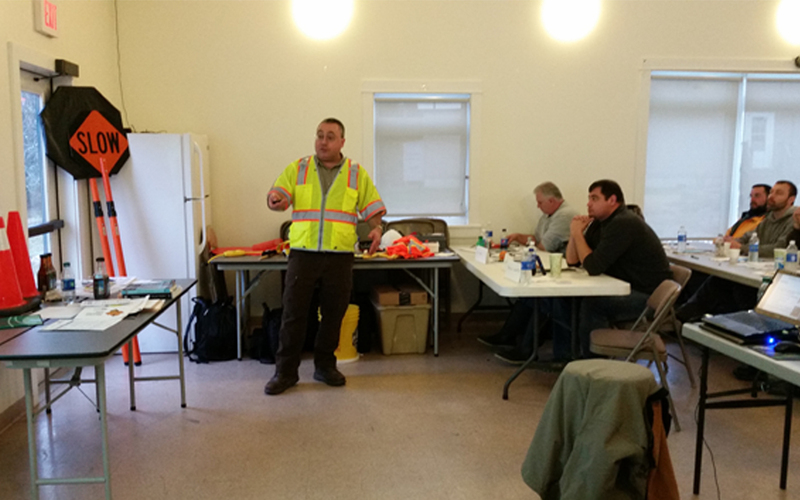 Neal Carboneau, in safety vest, teaches a class. Work zone safety isn’t an abstraction to Neal Carboneau. “It’s the reason I’m alive today,” he said. About 25 years ago the “shadow vehicle” deployed along the Indiana Toll Road saved Carboneau and others in the work zone from being hit by a tractor trailer that drifted from its lane. “As the semi was coming down the highway the driver decided to take his shirt off and lost control. Had that barrier truck not been there that semi would have mowed all of us over,” said Carboneau, who was working as a highway construction inspector at the time of the fiery crash. Today, Carboneau leads the Transportation Training Institute, a regional education and technical assistance firm based in West Lafayette, Indiana. His work includes safety consulting for ARTBA, which offers a variety of such programs, including on-site courses, federally-supported classes and professional development. Many are available for free. Carboneau’s relationship with ARTBA began more than five years ago when he obtained Safety Academy I and II certificates while managing the research and implementation program at Indiana’s Local Technical Assistance Program in Purdue University’s School of Civil Engineering. “I was trained to teach what I learned on the road,” he said. Since then, Carboneau has used his transportation construction and engineering experience to develop and deliver numerous training courses, guidance documents, specifications, and workshops. He introduced the “Managing Flagging Operations on Low Volume Roads” guidance document during ARTBA’s National Work Zone Safety Conference in March. Federal government data show more than 100 workers are killed annually in roadway construction and maintenance accidents. About half those deaths are caused by vehicle strikes, either inside or from outside the work zone. 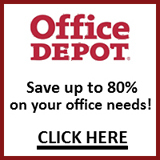 Tens of thousands more workers are injured each year. Such accidents cost money and stall projects. Transportation construction firms plagued by too many accidents may have trouble winning new contracts and difficulty hiring or keeping workers. That’s why ARTBA works through consultants like Carboneau, plus other coalitions, teams and alliances to improve safety in all aspects of transportation construction. Carboneau said that high quality safety training improves the “effectiveness and efficiency” of transportation-related firms. “Our vision is of a well-trained, safe, workforce helping to effectively construct, manage and maintain our infrastructure,” he said. He has taught about 40 safety courses over the past year, including a half dozen sessions across the state of Oklahoma. One of the topics was shadow vehicles.